Kilee Brookbank almost died from a house fire nearly two years ago. 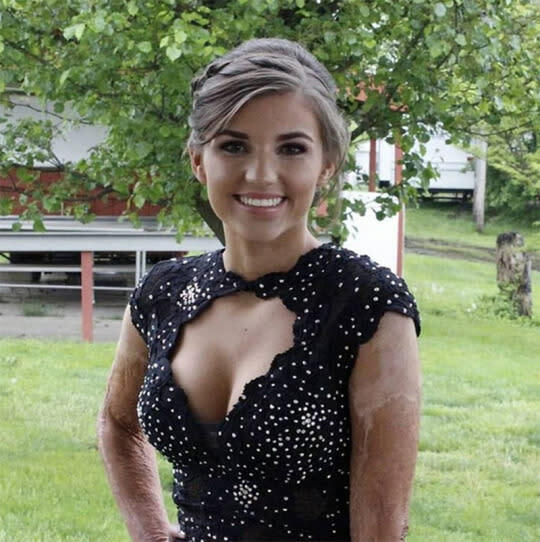 After a long and painful recovery process, the Georgetown, Ohio, teen has not only bounced back, but was also crowned prom queen at her high school earlier this month. In 2014, 16-year-old Kilee arrived home alone from school and noticed a “sewage-like odor” permeating her house, according to WCPO News, which was actually a gas leak. To get rid of the smell, Kilee lit a candle, which set off the explosion. She suffered burns on 45 percent of her body, including on her arms and back. The soccer player and honor student spent 38 days in the hospital where she endured multiple skin-graft surgeries. Let’s keep in touch! Follow Yahoo Beauty on Facebook, Twitter, Instagram and Pinterest.